Physicists from Immanuel Kant Baltic Federal University have developed and applied a method of identifying microplastic collected in sea waters. The spectroscopy method determines the chemical composition of contaminants regardless of their size. The results were published in Marine Pollution Bulletin. All plastic that enters sea waters stays in the sea. It does not disintegrate, only becomes granulated, becoming even more dangerous for marine animals and fish, entering their bodies with water and food, and accumulating in their organs. Moreover, microplastic is difficult to isolate. It is impossible even to measure the exact tonnage of plastic in the ocean. 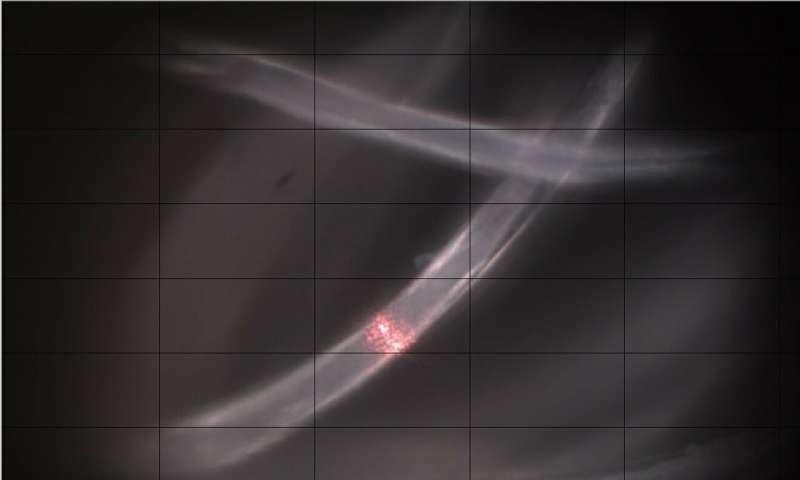 Collecting it from the surface with nets is not enough, as microparticles often travel from one water layer to another. The existing tools for deep plastic collection are, as a rule, unable to identify the depth at which a sample was taken, and without the information on the distribution of microplastic in different water layers, it is impossible to understand how the pollution spreads in the ocean and what the current volume is. Even when the samples are collected, scientists still find it difficult to determine the chemical composition of small polymer particles. The physicists in this new study now report a method for determining the composition of microplastic. They identified particles collected in the Baltic Sea using a new device called PLastic EXplorer (PLEX). It has been developed by the physicists of the Northern Water Problems Institute at Karelian Research Centre of the Russian Academy of Sciences, together with the Atlantic Department of Shirshov Institute of Oceanology of the Russian Academy of Sciences. The device pumps two to three cubic meters of seawater at any depth up to 100 meters. The water is transported to a ship where all solid particles are filtered from it. Pumps are manually added to the filtration system and washed before sample collection, and filters are changed manually, as well. Therefore, PLEX should have at least two operators, one to monitor the pump, and one to take care of the filter. Using the new device, the researchers collected microplastic samples from different levels of the Baltic Sea. Additional samples were gathered manually at the shore. The samples underwent detailed study, and the final stage of the analysis was the identification of their chemical composition. Such fragments and threads are incredibly small (the diameter of the fibers and fragments is 50 microns or less). Therefore, their analysis requires a very sensitive methodology. The physicists developed a method based on Raman scattering spectroscopy. Different substances inelastically scatter light in different ways, and the new method revealed the elements of each sample. The scientists found 33 types of contaminants in the samples from the Baltic Sea, including nylon, polyethylene, cellulose, polypropylene, and so on. "Spectral analysis of microscopic polymeric particles is a difficult task. The fluorescence of the dyes in that coloured polymers that are most widely spread is a considerable issue. The polymer and the dye have a strong bond, and one has to create specific experimental conditions to minimize the fluorescence of the dye, and at the same time, to identify the polymer's signal in the spectrum. In several cases, microscopic samples required additional purification and multicomponent spectral analysis to break complex spectrums (e.g. those containing several polymers and a dye) into separate parts. As a result, we've developed a method allowing us to clearly identify the chemical composition of the samples. It turned out to be quite useful for applied research of marine physics," says Andrey Zyubin, a senior research associate at the Scientific and Educational Center of BFU.